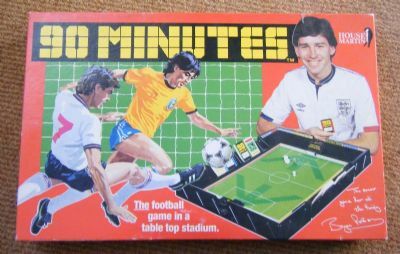 This game has been around for a while in a couple of versions click here to see the other version. 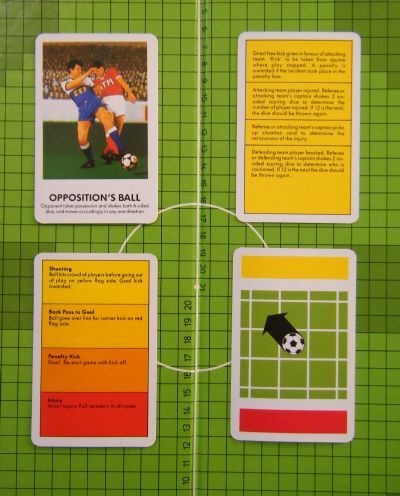 I am extremely honoured to have contacted by the original inventor Keith Mallett who let me know thta there was actually a third version of the game - the short initial run design which I add to the page below. 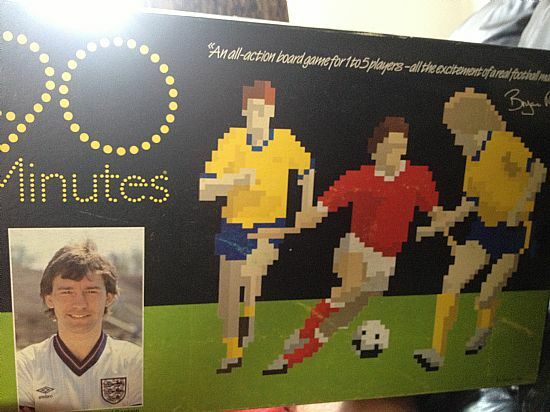 Nicely endorsed and shows the game well. 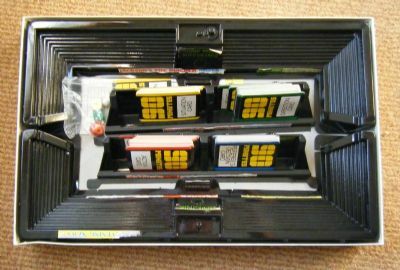 Here is a photo of the earliest box design. Never seen this version - do you have one? 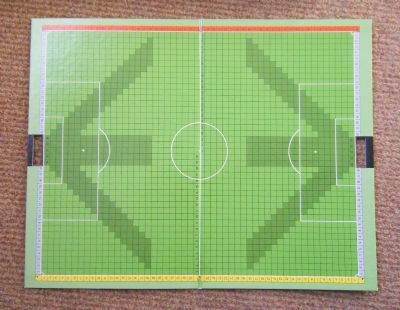 Large pitch with thousands of small grid squares on it. 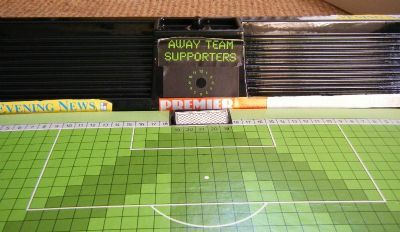 The box contains a large grid pitch and vacuum moulded stadium pieces that clip around the edge and hold the playing cards. 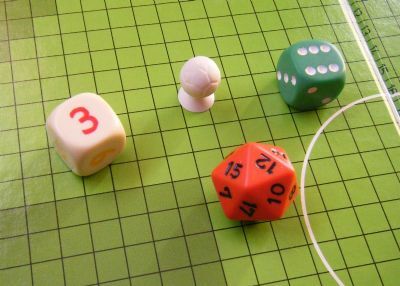 Also included are dice and a ball. 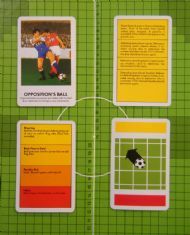 A variety of cards included to influence the game. A view of one end of the stadium - a nice touch that makes the game feel more substantial. Either the away team has a poor following or the ground is not yet open!